At Roo Landscaping we take pride in perfectionism. Whether we’re working with your existing design plans or applying our own, our hardworking team will be sure to handle every detail with care and consideration. Efficiency and professionalism are also always a top priority. We know that your commercial space is valuable and we’ll work hard to beautify it quickly and with minimal inconvenience to you and the people you serve. 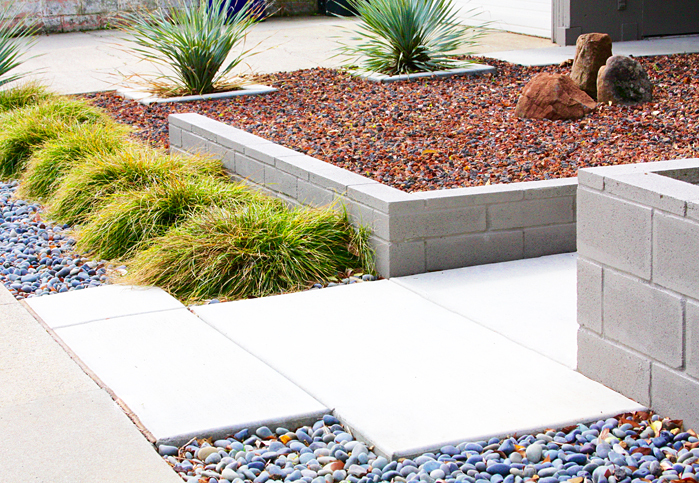 Maintenance of your commercial property’s landscaping should come with no hassles and that is always our goal. We’ll work with you to assess your needs and and we’ll work hard to meet them on a weekly, monthly or annual basis. Whether you’re looking for a clean and contemporary poolside escape, an eclectic backyard garden suited perfectly to your individual style, or a rustic front walkway full of blooming native plants, Roo Landscaping can do the job! We’ll gladly install a design by an architect of your choosing or help you visualize and layout the perfect plan for your space. Our dedicated crew of professionals are always friendly, efficient and responsive to your needs. Our extensive knowledge in water saving technologies and drought tolerant plant selection will ensure that your garden is dynamic yet water-friendly. Currently, we are not signing with new clients for weekly, residential mow & blow maintenance, however if you have specialty pruning needs for your established gardens we would love to help you get the most out of your perennials. Our professional, highly skilled pruning services will ensure maximum growth and bloom each year.